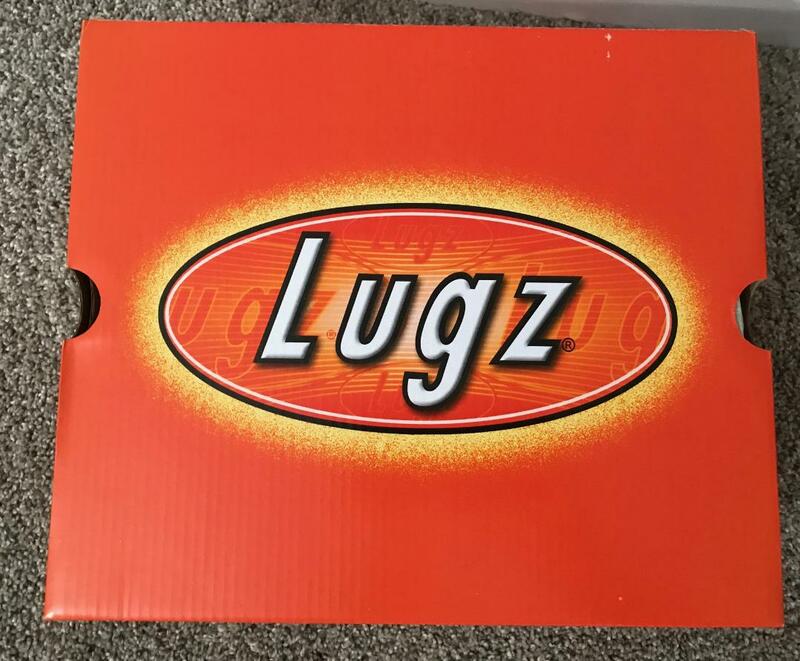 Mommy's Favorite Things: Make Winter Fashionable with LUGZ + GIVEAWAY! Make Winter Fashionable with LUGZ + GIVEAWAY! 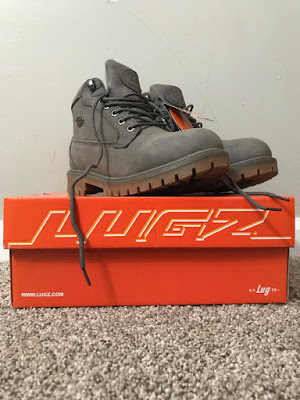 I had always heard great things about Lugz and I was fortunate enough to test out a pair of the Mallard Boots a year ago as well as a pair of the Regent Lo's last June! 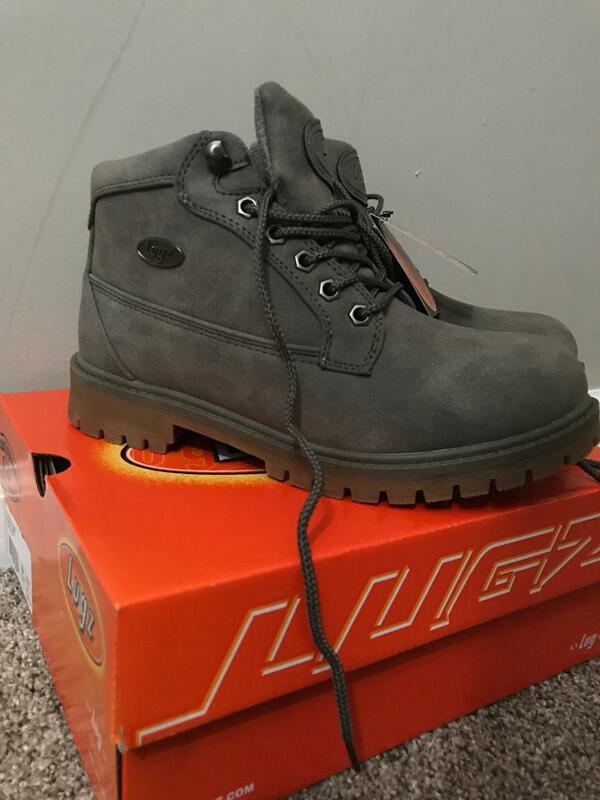 I've really come to love the brand, they are comfortable, inexpensive and they really last a long time. My Mallard Boots are great, even though I got them a size too big as I know boots tend to run small, I just wear thick socks with them and they are awesome. The Regent Lo's my daughter stole from me and wears to school often, they're a super cute oxford sneaker and go with everything since they're black. But this time around I wanted a fashion boot. Something I could wear in the winter, but not necessarily for snow and warmth. 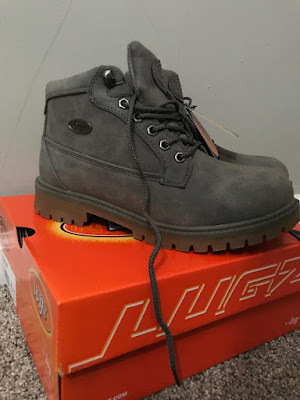 I decided on the Women's Mantle Mid Chukka Boot in the Charcoal Gum color. 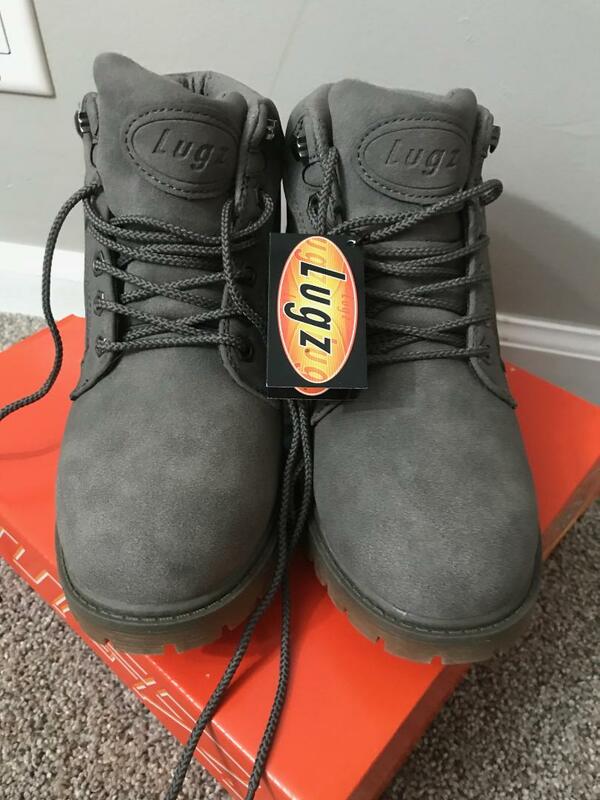 As I learned that sizing up in boots isn't always the best idea (Thank you LUGZ for making true to size shoes/boots), I stuck with my regular size 8 for these. They fit like a glove, actually are a bit snug, but I know they'll stretch a little over time. I love them and love the color. They are a beautiful grey shade. So they too, will go with everything. 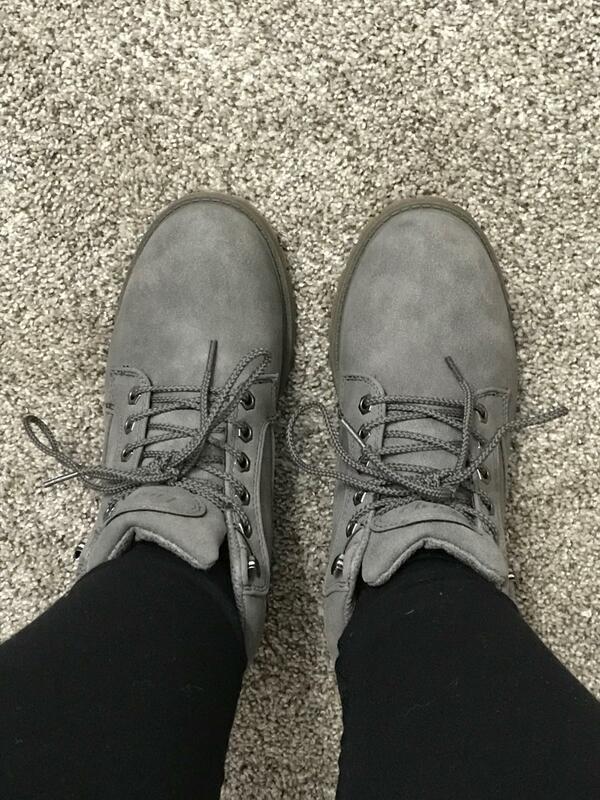 I wear a lot of jeans and black leggings in winter and they are both perfect with these boots. 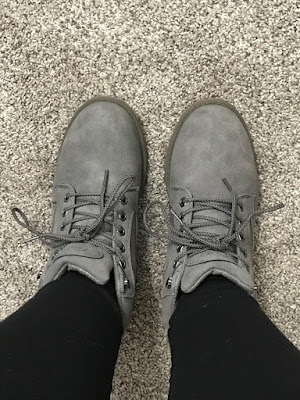 The boots come up a little bit which is nice because I can tuck my pants into them, but not really add much bulk around my ankle, making the boots uncomfortable. They are still SUPER comfy, even with jeans. The design of these boots is very versatile. They go with almost anything and I've worn them with leggings and a sweater and jeans and a hoodie, and even jeans and a tee. They are fashionable and can be worn with any and everything. And are perfect for this weather we're having where it JUST WON'T WARM UP! They are also warm, your feet won't get cold in these so are perfect for a fashionable winter boot. They have a padded insole, TPR outsole, are slip resistant and have a padded collar and tongue. 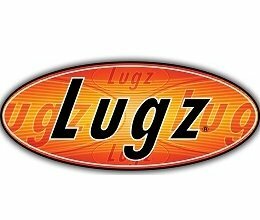 LUGZ has truly thought of everything. 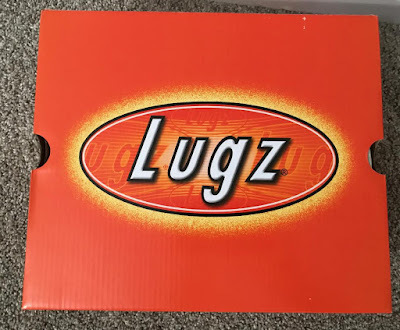 I would highly recommend LUGZ, this is now with 3rd pair with them and they're incredible, as are the other 2. Price: These are normally $69.99, but are on sale for $59.99 right now, in fact, they're having a SITEWIDE sale right now. 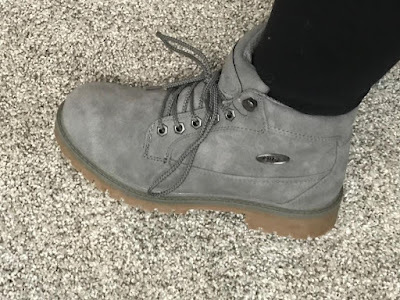 I like the Women’s Empire Hi Water Resistant 6-Inch Boot. I like the Women’s Grotto II 6-Inch Boot. I think the Women's Drifter Fleece Lx Chukka Boot in Black is really cute! I love the Tambora boots!!! my daughter also likes the Dot.com 2.0 sneakers, they have a cool galaxy like pattern she really likes.